What's that you're hearing? Are you hearing scratching from up above? That jumping and bumping from above your ceiling certainly can't mean your house is haunted. Household pests such as rats, bats, mice, and squirrels have been known to take up residence in a home's attic. The sad result can be one causing damage to your home such as chewing electrical wires. Often, the culprits are squirrels. This is because squirrels being small, mobile, agile and able to jump from one place to another makes it easy for them to get into your home. In order to determine the culprit is a squirrel, check for the following: Entry Points - Are there holes that have been chewed in order to enter the attic? Chewed Wood and Exposed Wiring - You may see wooden parts that have been chewed throughout your attic. There may be exposed wiring. Noise from the Attic - Those rattling and scampering daytime noises could be squirrels. 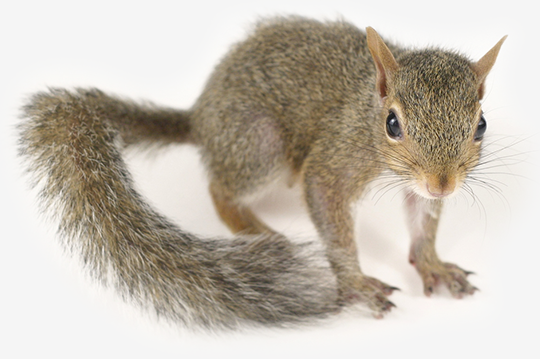 Noises from your attic during the daytime are most likely caused by squirrels. Squirrels are known to be especially active during the daytime. Attic-dwelling critters such as mice, rats, bats, raccoons and opossums are nocturnal and may not be heard during the daytime. Droppings - Squirrel droppings look similiar mice or rat droppings, but they are somewhat bigger. They are pellets that are oblong in shape. Their size is approximately 3/8 of an inch long and 1/8 of an inch wide but do vary according to the size of the squirrel. When the droppings are fresh, their color is dark brown. As they age they change to a lighter color grey. The older the droppings; the lighter the color grey. Debris from Nesting - Sticks and leaves can be used for nesting by a squirrel. If you find these in your attic, it can mean squirrels are setting up their home. 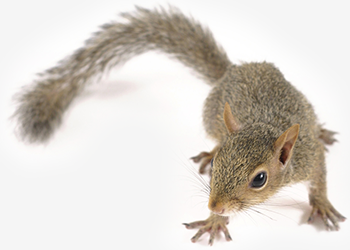 Squirrels may look harmless, but they can do damage to your home. 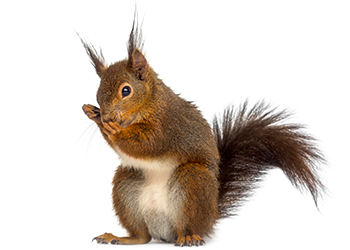 Examples of damage squirrels can do to you home include: Damage to your home's roof timbers and underneath done by their chewing; or destroy vents, wires, chimneys and insulation as well. 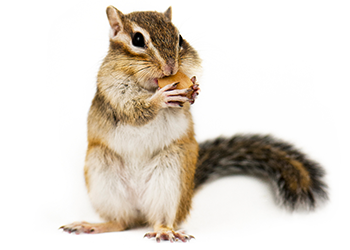 Fire caused by electrical hazards is a most serious concern of squirrels possibly chewing electrical wiring. Squirrels that live in your attic will have to go out scavenging for sources of food. It is essential to remove squirrels from your attic. The challenge is not only to get them out, but to also make sure they don’t return. If you really want to get rid of squirrels in your attic, the best way would be to call us today. You can save yourself a lot of time and effort by calling in a professional. In order to eliminate your squirrel problem in your attic, we will thoroughly investigate to find their entrance. Once we found the hole, we will install an excluder trap, also known as a one-way door, over the hole. This trapdoor will let the squirrels out as they leave your house in order to find food and water. By using a one-way door, they can get out but can't get back in. To avoid a squirrel problem in the future, we will make sure there are no other openings that they can get into, by sealing the attic.